Tax reform, workplace harassment and a focus on emotional intelligence and accountability are new or returning topics to the Indiana Chamber of Commerce’s business education lineup for 2018. On the heels of the Tax Cuts and Jobs Act being signed into law in late December, business owners need to know what sort of impact the new tax laws will have on their companies. A new event, the Tax Summit: Tax Cuts and Jobs Act, will take place April 17-18 at the Indiana Chamber Conference Center in downtown Indianapolis. As the largest tax reform in U.S. history, and with a stated goal of creating a more competitive corporate tax climate, it will be beneficial for employers to understand the new tax law and how to prepare for changes in the coming years. Topics addressed include: reduction of the federal tax rate, elimination of the corporate alternative minimum tax, impacts on small businesses and much more. Early bird discounts are available until February 1! Accountability Mindset, January 30, 8 a.m. to 4 p.m. This seminar centers on understanding the power of your personal mindset and its impact on your leadership, an increased awareness of factors that influence your behavior, as well as transform your team’s results by instilling a culture of accountability. Emotional Intelligence Impact, January 31, 8 a.m. to 4 p.m. Focus on your emotional intelligence and complete the EQi 2.0 Leadership assessment, which will inform you of your strengths and opportunities for growth. You’ll learn how to manage your emotional responses by identifying new approaches and impact your organization by inspiring and leading others. A returnee this year is the Workplace Harassment Seminar on February 27 from 8:30 a.m. to 4 p.m. The event covers preventing, investigating and correcting workplace harassment and is ideal for human resources professionals, managers, supervisors, business owners and more. Visit the Conferences page on our web site to see a full list of the various business education and special events we’re hosting in 2018. The “Tax Cuts and Jobs Act” (H.R. 1) has finally arrived! The long-awaited details – over 400 pages worth – are now out there for all to debate. This is a debate that will play out before the House Republican Ways and Means Committee this week. Much of the public discourse will focus on how it impacts individuals, but for the business community it is the taxation of businesses, large and small, that is of the most significance. The plan includes a reduction of the corporate rate from 35% to 20%, an important and meaningful step. It also caps the taxation of income derived from pass-throughs (S corporations, LLCs, partnerships and sole proprietorships) at 25%. Key provisions are outlined below. And if you are truly into tax law, the full bill is also available, as is a section-by-section summary. Now you may note that this legislation is labeled a tax cut, not tax reform. And while many will call it that, it is probably better characterized as a tax cut bill. Cuts are good, and these measures will certainly be the impetus for some level of economic growth. But the trillion dollar questions remain: How much will it spur in gross domestic product (GDP) growth? And, can that realistically be enough to offset the projected reductions in tax collections? Nobody can really know the answers to these politically-charged questions. But as you read the “scoring” of this legislation (to be published by the Congressional Budget Office after passage out of the House Ways and Means Committee), you may consider these items for context: the GDP growth rate in the United States averaged 3.22% from 1947 until 2017; GDP has pleasantly surprised people by breaking the 3% mark the last couple quarters; and the GDP will probably need to go a good bit higher to prevent the bill from adding substantially to the already staggering federal deficit. So listen for what growth rates are assumed in the projections that will be discussed and debated – and draw your own conclusions. Reduces the corporate tax rate: The rate will drop to 20% from the current 35% and is designed to be permanent. Establishes a repatriation tax rate: The repatriation rate on overseas assets for U.S. companies would be as high as 12%. The bill also may include a mandatory repatriation of all foreign assets. Illiquid assets would be taxed at a lower rate, spread out over a longer period than liquid assets like cash. Caps state and local property tax deduction at $10,000, but does NOT cap income or sales tax deductions. Eliminates the estate tax: The threshold for the tax, which applies only to estates with greater than $5.6 million in assets during 2018, would double to over $10 million; the plan then phases out the tax after six years. Does NOT change taxation of 401(k) plans. Increases the child tax credit to $1,600 from $1,000. The bill would also add a credit of $300 for each non-child dependent or parent for five years, after which that provision would expire. Nearly doubles the standard deduction: To avoid raising taxes on those currently in the 10% tax bracket, the standard deduction for all taxes would increase to $12,000 for individuals (up from $6,350) and $24,000 for married couples (up from $12,700). Eliminates most personal itemized deductions and many credits. The only deductions preserved explicitly in the plan are for charitable gifts and edited home-mortgage interest. Repeals the alternative minimum tax (AMT). The tax, which forces people who qualify because of an outsized number of deductions, would be eliminated under the legislation. Full policy highlights of the bill can be found here. Keep in mind this is the House’s plan and it will be subject to a different form of scrutiny in the Senate. So regardless all the prior coordination among those working together on this effort for months, some (perhaps many) things will change – they always do! As for the timeline, it’s hard to say. But we do know that the House Ways and Means Committee will begin hearing amendments this week, and the process could take several days. A vote on the bill by the full House, as it is passed out of Ways and Means, is anticipated to come as early as November 13. From there it goes to the Senate Finance Committee, then full Senate. Optimists hope for something to pass before the end of the year. However, don’t be surprised if the debate isn’t carried over into the beginning of 2018. The Indiana Chamber has been strongly encouraging our state government leaders to take bold action to address Indiana’s current and future workforce needs – a significant concern for many of our members. We’re pleased to see Gov. Holcomb’s recent rollout of the Next Level Jobs initiative, which will help to further ensure employees have the skills needed to compete in the 21st century workforce. • Employer Training Grants are available! Employers in high-demand business sectors can be reimbursed up to $2,500 for each new employee that is trained, hired and retained for six months. 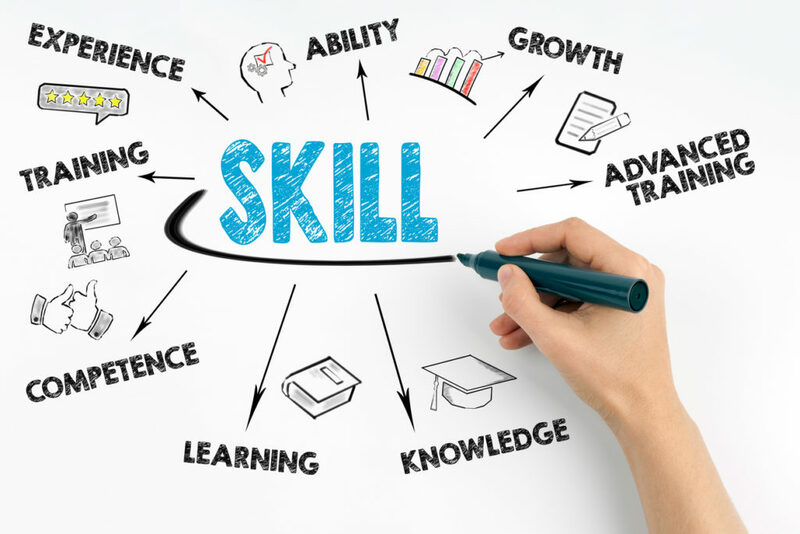 • Your employees can also take advantage of Workforce Ready Grants and access free education opportunities to help sharpen their skill set for the changing workforce. Let us know if you need assistance in navigating these opportunities. 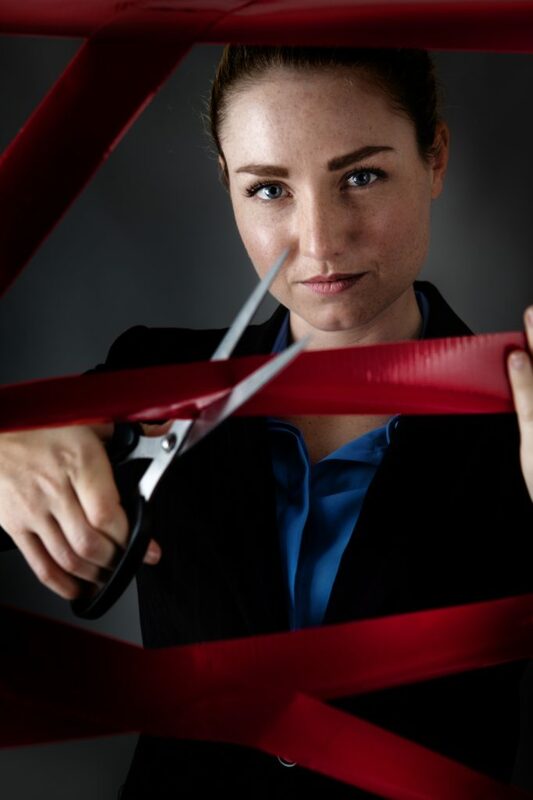 Cutting red tape for Indiana’s job creators is key to making our state a better place for small businesses to expand and hire more Hoosier workers. To that end, during the 2017 legislative session, the Indiana Chamber supported House Bill 1157, Small Business Duplicative Reporting, which was authored by Rep. Doug Miller (R-Elkhart). The law is simple, but hopefully effective in generating ideas to make early-stage and small business interactions with state government in Indiana even more business-friendly. As a result of the successful legislation, the Indiana Economic Development Corporation has set up an online survey to gather feedback from employers and government officials on instances of duplicative reporting. The Indiana Chamber is encouraging small business owners and local governments to take part in the survey. It only takes about five minutes to complete and asks participants to identify situations where they are required by state law, rule or guideline to submit similar information to at least two state agencies. Duplicative information can include notifications, tax reports, employment information and other statistical data. By helping to identify these issues, the state can work to streamline reporting processes or even eliminate some – which should save business owners time and money. Alumni, friends, former faculty and professional colleagues have always been loyal and compassionate when it comes to Parkison, said Jennifer Bott, the Bryan Dean of the Miller College of Business. From 1966 to 2001, Parkison, ’58 MA ’61, taught accounting to students who went on to become business and community leaders, entrepreneurs and certified public accountants. 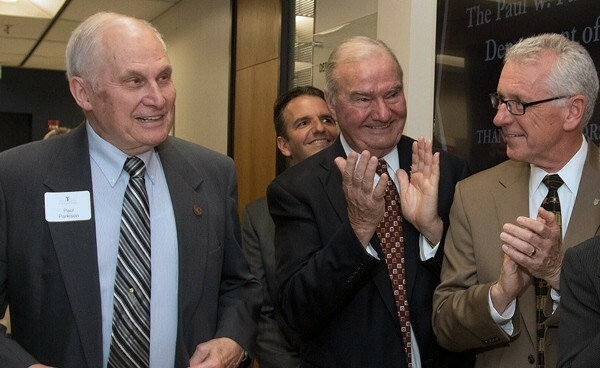 Paul and Nancy Parkison were the honored guests in early May when alumni, friends, former faculty and professional colleagues gathered to celebrate the dedication of the Paul W. Parkison Department of Accounting. During his tenure, the number of accounting faculty tripled, Ball State became the first public university in Indiana to achieve separate AACSB (Association to Advance Collegiate Schools of Business) accreditation for its accounting program and the department was ranked in the top 12 percent in the nation. Each year, the Indiana Chamber holds state lawmakers accountable for their voting records on pro-jobs, pro-economy legislation. 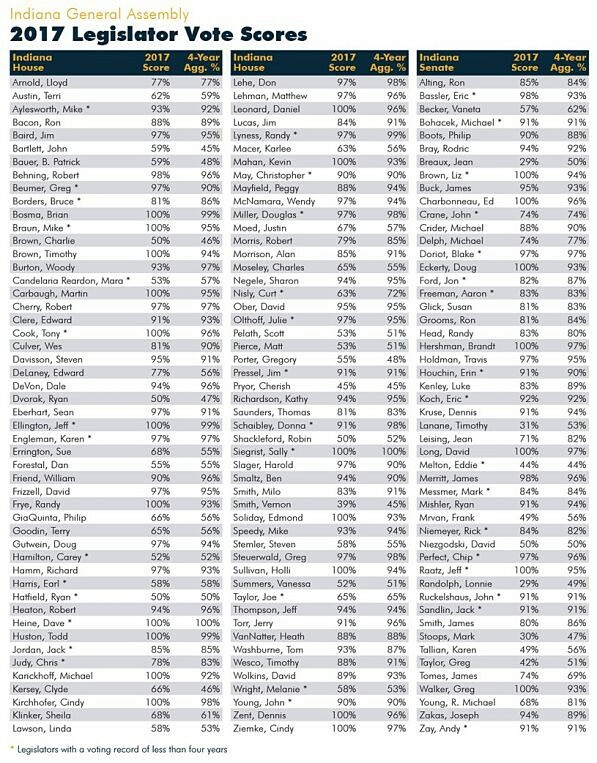 Today the 2017 results were revealed in the organization’s annual Legislative Vote Analysis, with vote scores ranging from 29% to 100%. These legislators are: Rep. Cindy Kirchhofer (Dist. 89 – Beech Grove); Rep. David Ober (Dist. 82 – Albion); Sen. Jeff Raatz (Dist. 27 – Centerville); Rep. Holli Sullivan (Dist. 78 – Evansville); and Rep. Ed Soliday (Dist. 4 – Valparaiso). (Why each received the honor is listed on page 6 of the report. I-Core is a distinguishing component of Kelley’s bachelor’s degree program. Junior-level students take a set of four integrated classes—marketing, finance, supply chain management and team dynamics and leadership—during a single semester. Kelley students say I-Core is one of the most meaningful experiences of their Kelley careers—a rite of passage to understanding the business world and the value of teamwork. A team of students will meet with company representatives to establish a project that works to benefit the company. Students conduct research, analyze findings and provide a recommendation at the end of the semester. Students may consider new goods or services, providing a feasibility study of the new product and market. They will determine if return on investment justifies risk and capital investment. Company representatives are asked to participate in an on-campus meeting to talk about the company’s current business and provide background information to help student analysis. Last academic year, one student team worked with RICS Software in Indianapolis. VP of Products and Technology Chris Kozlowski says the I-Core group looked at additional revenue opportunities for the company. “If you have the resources to spare, and you are looking for ways to think about your business differently, it’s a no-brainer,” Kozlowski said about his experience with the Kelley I-Core team. Kelley student and supply chain major Salman Al Muqaimi, BS’17, was one of the students who worked with RICS Software. “I consider the I-Core project to be a preparation course for real life in business. I-Core is the gate, and walking through this gate gives you the chance to apply knowledge you’ve learned in the classroom to the real world,” he added. Chris Gray is the Founder and CEO of Track Ahead, a career development app that facilitates firsthand and indirect engagement between college students and employers to match them based on mutual fit. He also worked with a Kelley I-Core team, who used Track Ahead data to build their own business model. Accounting and finance major Jalen McCoy, BS’18, says I-Core taught him to work efficiently with a team and the importance of being a leader. Please request and fill out an application if you’d like your business to be involved. Any for-profit organization can apply. The ideal company will have been in business for at least 10 years (minimum of 5 years) and will have shown an operating profit for at least three years (minimum one year). The company must be incorporated as an S corporation, C corporation or an LLC. If you would like more information on this program, or to request an application, contact Teresa Bennett at tkbennet(at)iupui.edu or at 317 278-9173. The event offers business and community leaders an opportunity to speak with Indiana’s congressional delegation and key staff members during a roundtable discussion/dinner on September 16. The second day features a panel of national and state issue experts, followed by numerous group visits to congressional offices. By September, the 2016 presidential campaign will be in full swing with a number of members of Congress running for re-election. Dominant issues in Washington and beyond will include transportation, tax reform, repatriation of overseas funds, Obamacare and immigration. Cost is $149 per person and group discounts are available. Each attendee is responsible for securing travel arrangements. 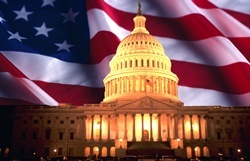 Discounted hotel rooms are available for Chamber Fly-in guests at The Liaison Capitol Hill. Register online. This column was also posted on Inside INdiana Business. 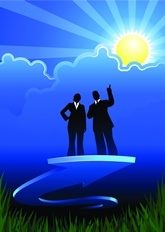 Indiana possesses a number of advantages in its business climate. One of those traditional benefits has been energy that is adequate, reliable and affordable. The inexpensive part of that equation has come into question lately. Industrial energy rates that were once among the five lowest in the country are now around the middle of the pack. Federal regulations – ones that often impact Indiana to a greater degree due to its dependence on coal – lead the way as a major cause for the increase. All companies, not just heavy energy users, can more closely evaluate their usage and likely lower their costs. That subject is the theme of the Indiana Chamber of Commerce’s 2015 Connect and Collaborate series – luncheons around the state this summer for Chamber members. Know your costs: Just as we hopefully do or should be doing at home, examine your electric power bill. You have to realize the source of your largest energy costs to be able to potentially have the opportunity to reduce those charges. Evaluate your contract: Is your current agreement the best deal you can get? You don’t know what’s possible until you ask. Lighting can be a hidden cost: Are you aware of what type of lights you use? Are they the most efficient? Are unnecessary lights turned off when not needed? Have you considered motion sensors? Air recycling: Heat rises, making it important to properly recycle your air. Have a professional examine your system. Efficient ceiling fans (or exhaust fans in warmer weather) could make a major difference. Avoiding the pressure: Steam and air pressure are common ingredients in many industries. Leaking joints, pipes and systems can be a huge energy drain. Water equals power: If you use water from a municipal treatment plant (or even your own facility), nearly 20% of that cost is energy. Examine your system to eliminate water leaks. You are paying for your water, as well as the energy it takes to process and move the water. Check the pumps: Workplace pumps are huge energy users. Assess your pumps – are they needed? Could they be changed out for a more efficient model? Would a variable speed pump make more sense? Transportation troubles: Another personal priority needs to be carried over to the workplace. Car/truck care in the form of proper tire pressure, tune-ups and other maintenance is essential. Companies with multiple vehicles are often well served by having someone responsible for the fleet. Proper planning: In addition to the modes of transportation, logistics are critical. Efficiently planning trips and scheduling deliveries will help conserve power and enhance productivity. This applies to organizations of all sizes. Compressing the fuel: Compressed natural gas continues to gain favor among many companies with heavy delivery schedules. An upfront capital outlay is often rewarded with a very timely return on that investment. Chamber President Kevin Brinegar, I and a local business leader look forward to sharing this information and talking energy with members at each stop on our Connect and Collaborate tour. Your business could be the beneficiary.